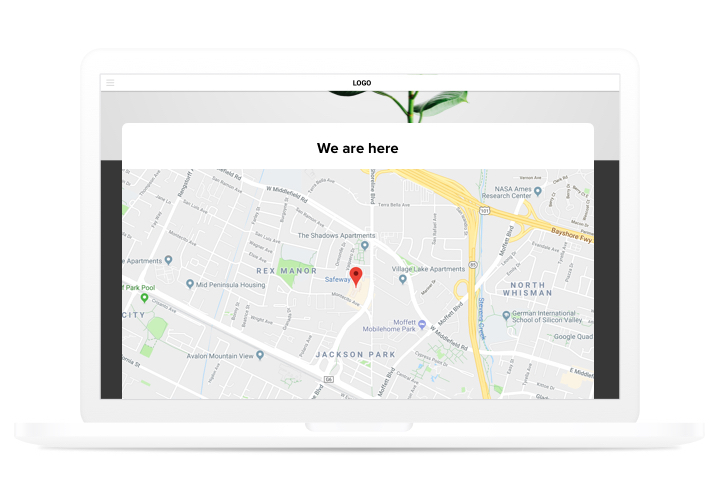 No-sweat installation, effective and fully customizable interface make it easy for your clients to search for your addresses on the map. 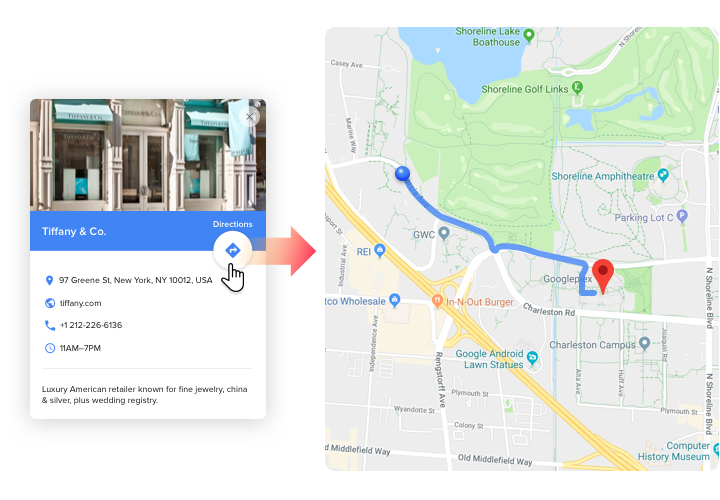 Attracting real-life customers, fast adding to a site and customization options transform it into one of the best plugin for every Webnode site.Generate more real-life customers thanks to interactive maps on your site! Get closer to clients. Reveal your contact data, which clients can use to write to you or reach you both in real life and in the Internet. 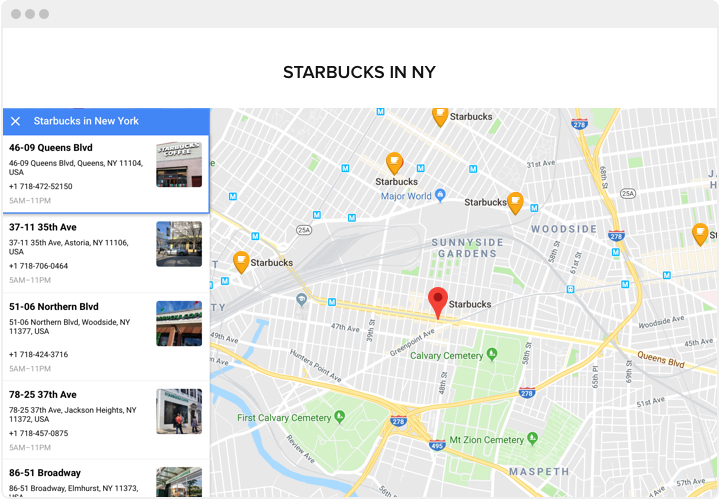 Reveal a complete list of your shops on the map. 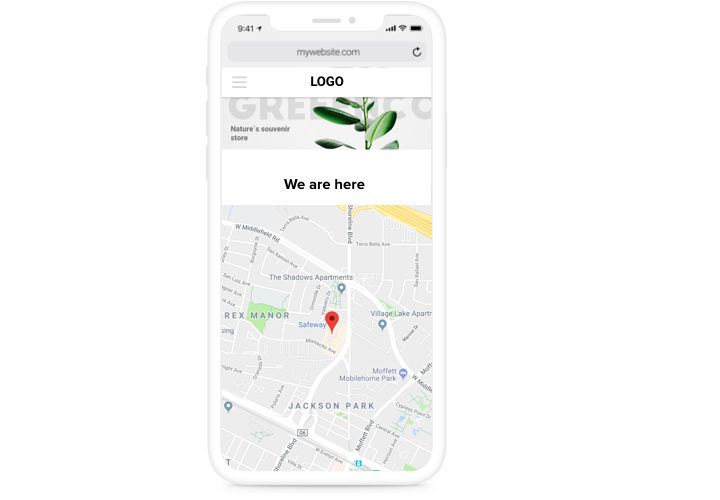 Locate on the map all public places, points of selling or picking goods and let your users will easily choose the maximum suitable location and will be grateful fir this. Use an infinite number of locations on one map. Don’t limit the number of your places on the map, mark everything that may be necessary and entertaining for your clients. What advantages turn Elfsight map into the best for your Webnode site? Try full list of advantages in the editor! A brief instruction on displaying responsive maps on a Webnode site on your own. For following it, you don’t need to hire a programmer or have competence in web programming. Overall time of setup is just 2 minutes. 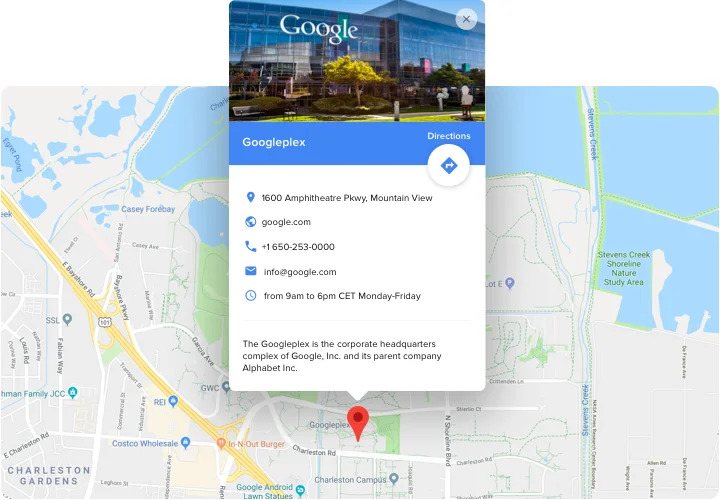 Build your individual Google maps. By means of our free editor, generate a plugin with preferred design and options. Copy the code for adding the plugin. After widget customization, get the code for Map plugin from the appearing window on Elfsight Apps. Place the plugin on Webnode website. Add the plugin to the desired spot of the website and save the changes. You fully performed the installation. Enter your Webnode site, to check your plugin. Experiencing difficulties or questions while performing the manual or setting up your own map? Address customer support and we will be pleased to advise you in designing and adding maps on your website. 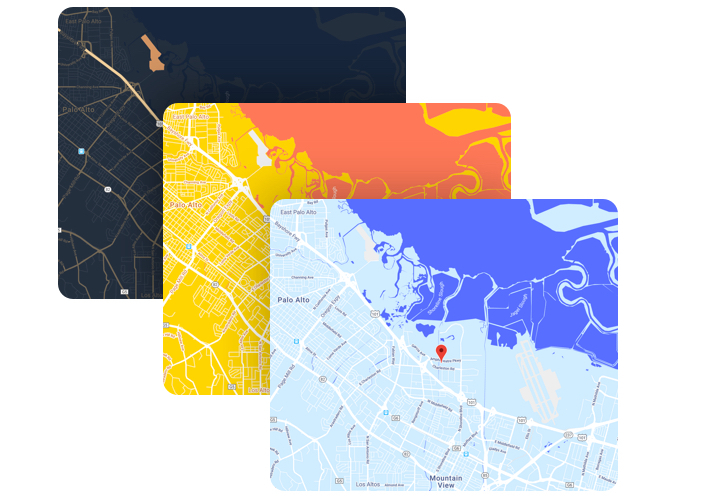 Generate a responsive Map plugin easily and quickly!